Film distribution company Dutch FilmWorks is continuing its legal battle to identify BitTorrent pirates. The company is appealing the case against Internet provider Ziggo, where it requested the personal details connected to 377 IP-addresses. Even if the account holders themselves are not pirates they do have a responsibility for what happens on their connections, Dutch Filmworks stresses. Piracy settlement letters have become a serious threat in several countries. Until now, Dutch Internet users have been spared from this practice, but if it’s up to local movie distributor Dutch Filmworks, that will soon change. Little over a year ago the company received permission from the Dutch Data Protection Authority to track the IP-addresses of BitTorrent users who shared pirated movies. However, that was only the first hurdle, as Dutch Internet provider Ziggo didn’t want to share any customer data without a court order. 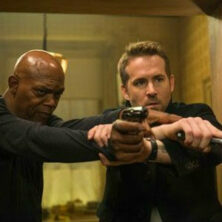 The case went to court, where the movie company requested personal details of 377 account holders whose addresses were used to share a copy of “The Hitman’s Bodyguard”. This turned out to be a disappointment for Dutch Filmworks (DWF). The court rejected the request, ruling that it’s unclear how the movie company plans to approach the account holders, and whether it sees these people as the offending downloaders. In addition, it is unclear whether the proposed settlements, which are expected to be around €150 per infringement, do indeed match up with the actual damages the movie company suffered. That number may be a ‘fine’ to some extent, which shouldn’t be part of a settlement. DWF was disappointed with the outcome but it’s not letting the case go. A few days ago, the company announced that it will appeal. According to the movie distributor, it should be entitled to find out who the ‘infringing’ subscribers are. “In the verdict, the judge agreed with DWF on almost all points. In the end, after weighing all interests, the judge rejected the claim of DFW nonetheless,” the company writes. Since the initial request was denied because several issues were unclear, a win on appeal is certainly possible. DWF notes that while the court ruled that subscribers are not by definition liable for everything that happens on their connection, they do have a certain responsibility. “Moreover, in its verdict, the court indicated that the fact that the IP address holder is not necessarily the infringer does not relieve the subscriber of the same IP address from his or her responsibility for what happens from that IP address,” the company adds. As such, there may be a reason to hand over personal information of subscribers to the movie distributor. For example, to contact the account holder in an attempt to track down the actual infringer. Overall, Dutch Filmworks is confident that the appeal will turn out in its favor. Ziggo hasn’t commented in detail on DWF’s decision. “We wait and see,” a spokesperson told the local news site Nu.nl.